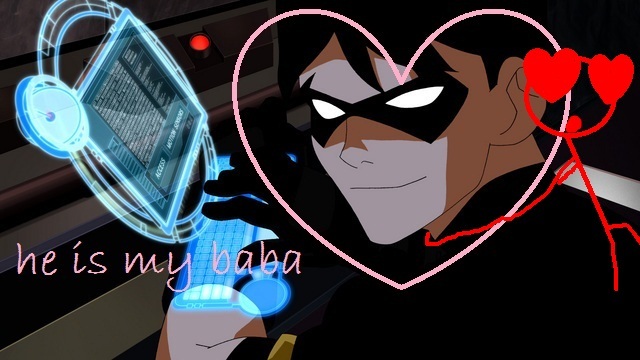 .... i just dont know why i write "he is my baba" but hope you like it any way. Wallpaper and background images in the Young Justice club tagged: young justice. You think Robin has enough time for every girl who loves him? Of course hes the boy wonder!!! Don't mess with RL and her Robin. Take my advice. IMEAN..We Emo's Are HOT And You Are NOT >:D AND I MEAN IT THIS TIME!! !